One thing you learn pretty quickly after attending a few SHRM annual conferences is this: the inspirational speakers usually appear near the end of things, usually on Day 3 and 4. As so many things going on here at SHRM 2013 in Chicago, that’s not the case this year. Keynote speaker Blake Mycoskie, founder of Toms Shoes, moved the conference’s inspirational quotient up a few notches by relating the story of how he accidentally became, A) an entrepreneur; and, B) a philanthropist who figured out that weaving charitable giving into a business model is a recipe for success. 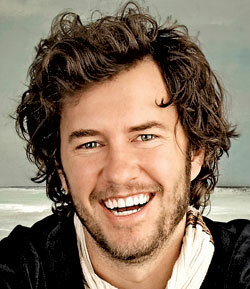 Blake Mycoskie is the Founder and Chief Shoe Giver of TOMS, and the person behind the idea of One for One, which has turned into a global movement. TOMS has given over 2 million pairs of new shoes to children in need since it began in 2006. The company also recently expanded its unique business model to include TOMS Eyewear, helping to save and restore sight for those in need. Customers become your greatest marketers. He related the story of the first time he ever saw a customer wearing Tom’s Shoes, while checking in for a flight at the American Airlines terminal at JFK Airport. When he asked the woman about the shoes, and eventually, told her who he was, she got so excited — and loud — that she drew a crowd. Every business needs great partners to be successful. And giving is good for business because it attracts great partners. Mycoskie talked about some of the partners who reached out to Tom’s simply because they wanted to be involved with a company that did so much giving — companies like Ralph Lauren and AT&T. This is more proof, he says, that giving is a great business model. He also noted that, as of this week, Toms has given away 10 million pairs of shoes, and he’s now engaged in giving away eyewear in much the same manner. Is this an inspiring story, or what? And although I had not really heard of him, I vaguely recall Mycoskie from the TV reality show The Amazing Race. He finished third with his sister during the show’s second season back in 2002, just missing the show’s $1 million top prize by 4 minutes. But even though he didn’t win the race, it was a leg of the competition that took Mycoksie to Argentina that exposed him to the plight of children without shoes, and, it inspired him to start Toms Shoes with its unique business model that also helps to change lives. This is a story that’s pretty hard to top, and, it is a great lesson for anyone who has a dream and doesn’t quite know how to get started to really make it happen. Mycoskie’s story is one of a person who succeeded almost in spite of his lack of knowledge about what he was doing. But, that’s what can happen when you’re driven by a larger, philanthropic goal. I know there will be more inspiring stories here this week at SHRM Chicago. This one from Blake Mycoskie was a good one to get things started.